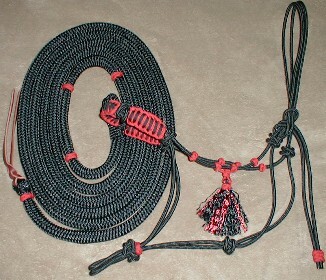 Welcome to Handcrafted Jewels Rope Horse Tack, a family owned company that makes quality Natural Horsemanship Products. We take Pride in our affordable Yacht/Marine Rope Tack and we are sure you will be pleased with your purchase. Our Rope Horse Tack ranges from Rope Horse Halters to the Handy Horse Training Stick. Our Horse Training Aids will help you with all your training needs, so let us supply all your Horse Tack Equipment. Our goal is to NOT only to sell to people who want to Train their own horse, but to people who are just in need of a good Horse Bridle, a strong Lead Rope, a no kink Longe Line, or maybe a nice set of Sport Reins, we can help you with that also. We also sell some leather items like Slobber Straps to go with that Mecate. Maybe you are one of those people who likes to make your own Rope Horse Tack, we can help with that also, we sell Bulk Rope. We make our Products from Double Braid Yachting/Marine Rope in a variety of colors. Don't mistake the Price for Quality! Being horse owners we think that tack should be affordable, because nothing else is in the equine world! I know the name does not really match what we do, but when you have something good that will last for years it becomes a JEWEL. We do custom orders so please inquire. If you like what you have purchased tell all your friends where you got it, if you don't send it back! As with all the items we sell if you're not happy with it please return it for a refund or exchange, minus shipping costs and credit card fees (if it applies to you). We currently fabricate for Trainers and Clinicians. We can only accept Credit Cards through our WEBSITE and PAYPAL at this time. We now offer a Referral Program. If you are a trainer and use our products contact us about it. You must have a website!! If you get a chance check out our Quarter Horses! 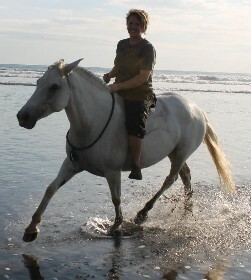 We have several nice horses For Sale. 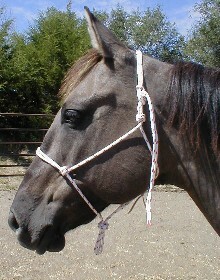 Authorized Distributor for the Charity Rope Halter Program.